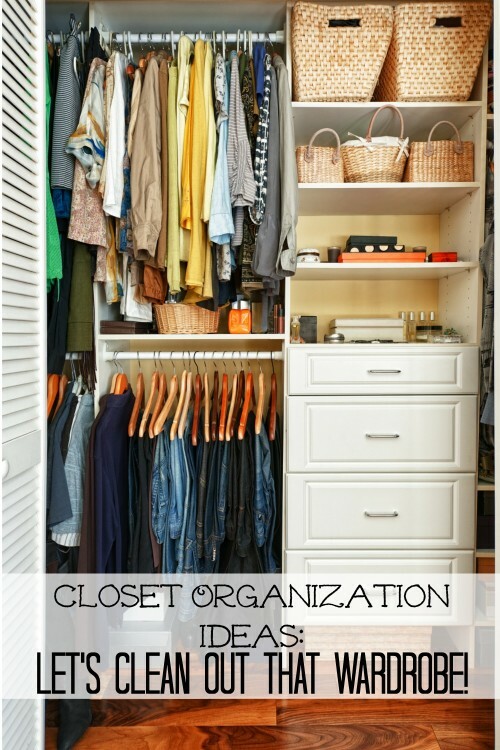 Spring Closet Organization Ideas: Let’s Clean Out That Wardrobe! There comes a time, usually twice a year, when you look at your wardrobe and realize that the clothes inside are not right for the weather outside. This is when you decide to make a spring (or autumn) cleaning and change all those sweaters for skirts and shorts. Somehow, in the middle of your mission, you realize that all your shelves and hangers are filled with pretty clothes you used to wear, but haven’t worn for a long time. Is there a way out of this mess? Wardrobe cleaning is never an easy task, this is why you should prepare in advance. Make sure you’re alone, have a few hours just for yourself (weekend is the perfect time for wardrobe makeover), put on some cheerful workout music (this is exercise, you know! ), and get ready for the battle. Clear out section by section but have no mercy – throw everything out of the drawers, and once you have finished with these, clear all the hangers. Singing and dancing while you clear out and fold all those clothes is a great way to have fun and work out at the same time. Don’t stop until you have cleared all of it. When you start going through your wardrobe, but really going through it – all the way to the back and to every dark corner, you will notice how many old pieces you will find. Make up your mind and stick to your decision – if it has been more than a year since you have last worn a certain piece – it has to go. Sad as you may be at first, you will hardly even notice they are not in your wardrobe anymore. You have barely looked at them, and who knows how long it has been since you’ve last worn them. This is why they should go away and make room for your new clothes. One of the best spring cleaning ideas is to have three boxes ready when you’re on a mission to declutter your wardrobe. The first one is for the clothes that are waiting for the next season, the other one is for the clothes you like, can, and will wear, and the third one is for the clothes that are just no longer ‘you’. You can give it away or even sell it; just because they no longer fit you, it doesn’t mean they won’t fit someone else. Put your out-of-season clothes away on a shelf on top of your wardrobe, and make room for the rest of your clothes. Now that your wardrobe is emptied, clean, and veeery good looking, take advantage and make it more organized than it used to be. Buy matching hangers and when you hang clothes try to do it in such way that they all face the same direction. On the other hand, get all creative, and make some cute hangers on your own! This is also a good thing because you will know which pieces you haven’t worn in a long time. 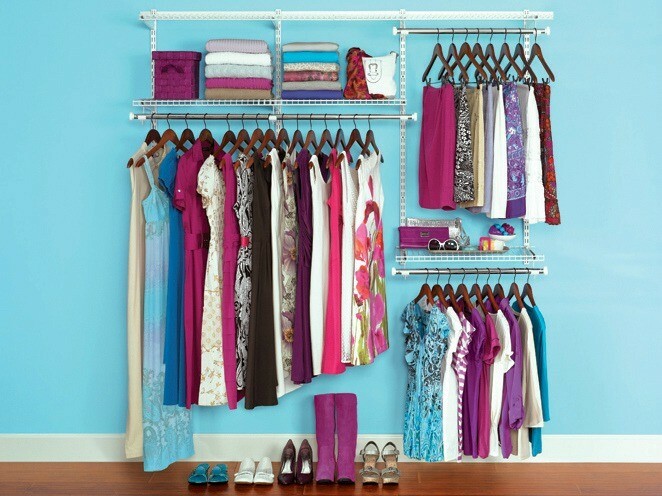 Hang all your jackets, shirts, pants, and skirts together so that you know where each piece is. You could also arrange them by colour. All those pieces you’ve been keeping just because you were in love with them once and feel bad about getting rid of them – they only make a mess. Don’t be sentimental and keep all the clothes you are not wearing any longer; these clothes only take the room of the one which could be your next favourite, but cannot fit in your wardrobe. Chloe is a fashion-and-beauty enthusiast from Adelaide, Australia, editor at HighStyleLife. Coffee addict, equestrian and a crazy cat lady. In love with koalas and Sicily.